Founded in 2003 in Sydney, Sumo Salad had a vision for creating fast healthy food for Australia and the rest of the world. 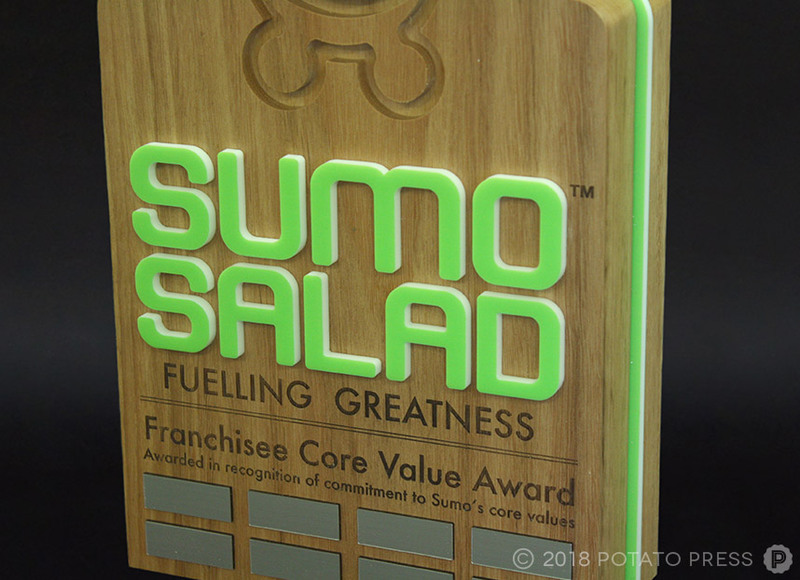 Flash-forward to now, Sumo Salad has now grown to a international brand, serving 6 million meals each year across their stores. 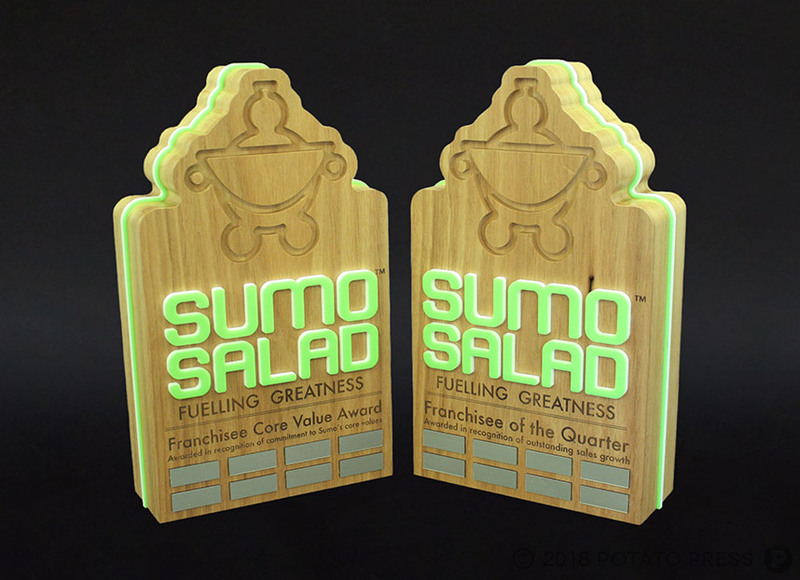 Sumo Salad approached us to create their Franchisee Awards. 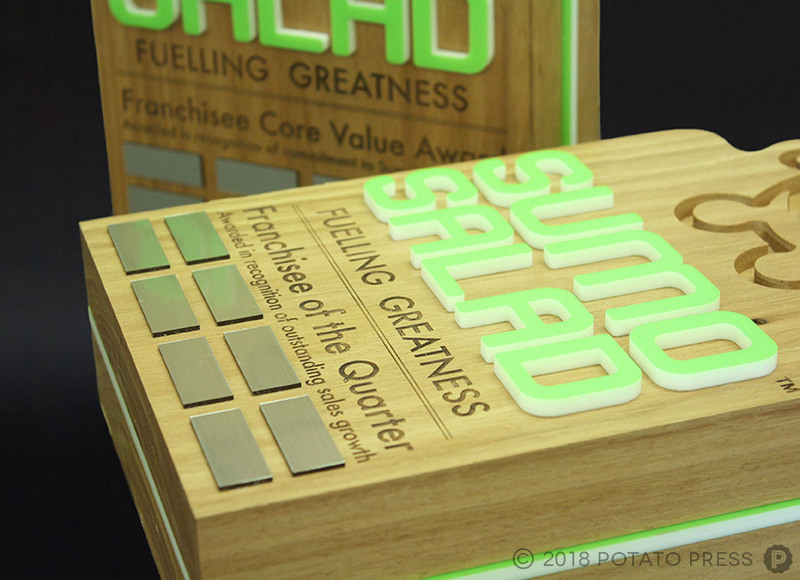 Using solid hardwood timber to frame the shape of the award we added acrylic, laser etched details and silver name plates to create these perpetual trophies. 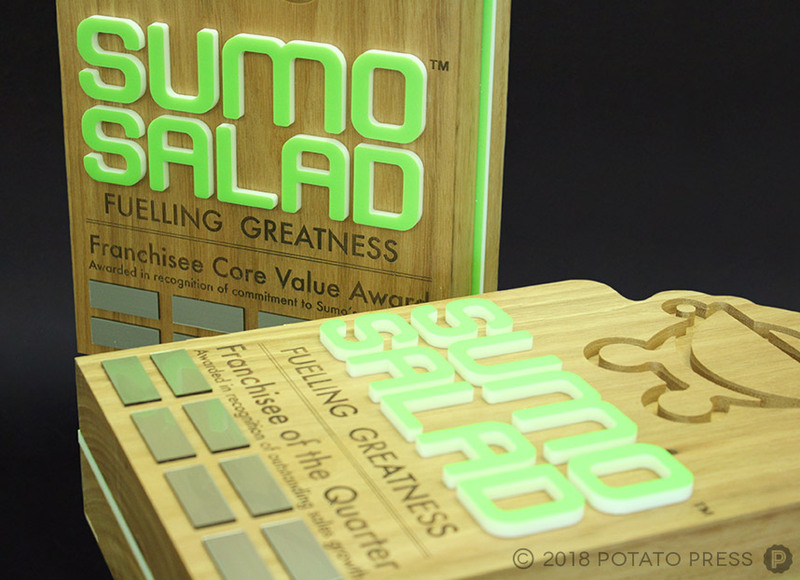 By cutting into solid timber to expose the sumo salad logo, it has added another dimension to the award. Have some employees who deserve an award? Contact us to see how we can help create a unique trophy for your team!